Democrats have the power to seek a one-week postponement on a decision on Neil Gorsuch, the Denver-based appeals court judge. 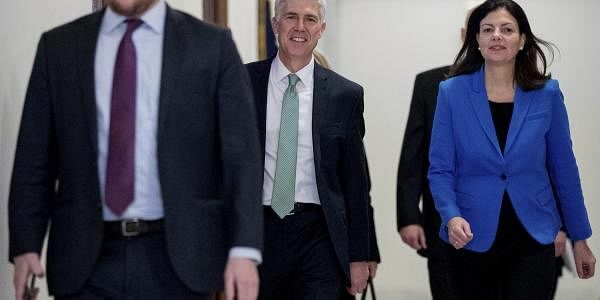 WASHINGTON: A Senate panel is meeting to consider President Donald Trump's nominee to the Supreme Court and Democrats are widely expected to delay a vote until next week. The Judiciary Committee is gathering at noon on Monday. Democrats have the power to seek a one-week postponement on a decision on Neil Gorsuch, the Denver-based appeals court judge. A dozen Democrats and independents, led by Minority Leader Chuck Schumer, have announced their opposition to the nominee, arguing that Gorsuch has ruled too often against workers and in favor of corporations. Majority Leader Mitch McConnell says he hopes Gorsuch would get Democratic votes in the end, but he seems ready to change Senate rules, if necessary, to confirm him with a simple majority rather than the 60 votes now required to move forward.